Nokia is upping the ante against rivals such as Apple and Go ogle with its preview of the upcoming iteration of Symbian OS (V3) for touchscreen devices. The upgraded mobile operating system is expected sometime next year, together with a bunch of new devices. The Finnish mobile phone manufacturer, the largest in the world by volume, has seen rumors of dropping Symbian in favor of Google's own Android operating system and even replacing the aging OS with its more up-to-date Maemo OS found on the Nokia N900 device. bian OS, which by now has been widely criticized for its sluggishness and not being finger-friendly. The first noticeable change in the Symbian version (seen in the image above; click to enlarge it) is the support for multiple home screens. 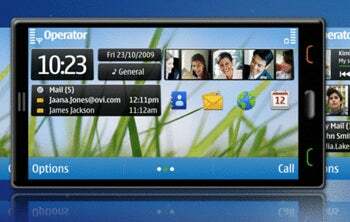 Users of Symbian touchscreen devices have been craving this feature since the N900 (running on Maemo) was launched, but the wait will be over soon. The small circle indicators at the bottom let you know which screen you are on. The circles function similarly to the iPhone home screens, but the widget interface is similar to Google Android's. 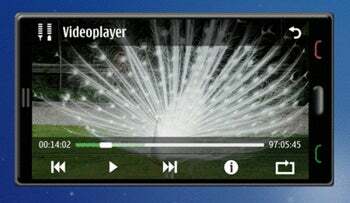 Symbian's video player (click to enlarge the shot) is getting a facelift as well, with support for semitransparent graphic layers, as seen before on the iPhone. 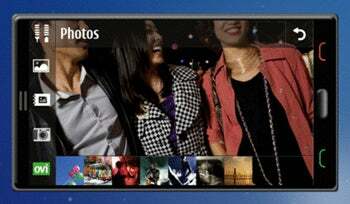 The next version of Symbian will also support HDMI output and can play files larger than 2GB in size. Signal and battery indicators in the next Symbian OS version have been moved together to the left (click to enlarge the image at right), while a "back" button appears on the right. Semi-transparent layered graphics are used in the photo browser as well, while the photo gallery (shown in the shot below) works in portrait mode also. It needs to be mentioned that these images are concept mock-ups of the next Symbian update, and it is possible that the final product might differ slightly. Such an example would be the screenshot below, which depicts Symbian's support for widgets of any size, in various screen orientation layouts. This function might appear only in a subsequent release of the OS.